MarbleJam Kids 12th Annual Dinner Benefit - Celebrating the Music of Life Edgewood Country Club, 449 Rivervale Rd, River Vale, NJ 07675 will host MarbleJam Kids, a 501c3 nonprofit organization, "Celebrating the Music of Life," benefit dinner event. Live entertainment by The Willies with Willie Wilson MC and special celebrity guests. Edgewood Country Club, 449 Rivervale Rd, River Vale, NJ 07675 will host MarbleJam Kids, a 501c3 nonprofit organization, "Celebrating the Music of Life," benefit dinner event. The elegant remodeled Edgewood Country Club sets an elegant stage for the gala event with cocktails, dinner, auctions, dancing, under the spring warm air balcony. MarbleJam Kids will honor the following individuals for their impact in our community and beyond: Jacqueline Laurita, Global Autism Advocate & Star of Real Housewives of NJ; Tom & Lucy Ott, Founders of David's Fund; Jodi DiPiazza, teen musical prodigy and Autism Ambassador; and Peter Demoleas, florist and outstanding volunteer. Edgewood Country Club’s award winning Chef Jamil Barqawi will serve a delightful gourmet dinner adding his unique renowned style and impeccable taste. Live entertainment provided by Willie Wilson and his band The Willies, a local favorite featuring retro, contemporary, and rock selections. Special celebrity guests will be attending this exclusive event. Musicians Barron Raymonde, Tony Cerbo, and Chris Tristram, all of whom have performed with Bon Jovi, Richie Sambora, Joan Jett, Great White and others. MarbleJam Kids is a state authorized service provider through NJ Dept. of Health & Human Services and is dedicated to working with each family to ensure programs meet their child’s unique needs and abilities. MarbleJam Kids has worked with hundreds of children, youth, and young adults in Bergen County and beyond, but may only continue to do so through fundraising and community support. 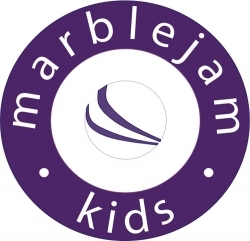 Click here to view the list of recent Press Releases from MarbleJam Kids Inc.